The Best of Me is an American romantic drama film directed byMichael Hoffman and written by Will Fetters and J. Mills Goodloe, based on Nicholas Sparks’ 2011 novel of the same name. The film stars James Marsden and Michelle Monaghan with Luke Bracey and Liana Liberato. First, I just need to get this out of my system. What is it with tragic love stories and stars? I promised you last week that I’m going to write about a movie with a happy ending. Because I’ll admit that I still can’t move on from Tauriel and Kili’s love story. I’m at least glad that there’s closure for both characters in the Best Of Me. I always love Nicholas Sparks works ever since I read The Wedding. That’s the story that made me buy and read his work, but he broke my heart when he wrote Dear John and I was/ am also brokenhearted so I stayed away from love stories for a while. When I saw the Best Of Me novels, I was excited to read it and watch it. Another reason I love Best of Me is because I’ve always loved Liana Liberato and Michelle Monaghan. The reason I chose it because I’ve always thought it was a happy ending and I’m having a really hard time writing an analysis for the movie I chose for this week. My analysis for the story is somehow split because I love the chemistry of the adult actors, but I wasn’t feeling it between the younger actors, but it was nice seeing the flashbacks. It gave me insights on their relationship. In the movie, Amanda is the one with an outgoing, straightforward, kind, and bubbly personality. She’s also determined and passionate for children since she plans to major in child psychology and public policy. While Dawson is shy, doesn’t know how to talk or flirt with a girl, respectful, hardworking, studious, introverted, passive, abusive upbringing, and he likes the stars. He shared his interest in the stars when he said that humans have always looked up to the stars for consulting and that he made his own telescope. With those descriptions between two characters, you can sense right away that they have chemistry. They are a complete opposite of each other and that’s what’s pulling their characters together. My favorite scene here is when they were talking as adults and Amanda said that it’s dangerous for them then she complained how he didn’t get ugly or something. It was great. I can’t ignore the sizzling tension between the characters. Friendship, intimacy, and security somehow go hand in hand between Amanda and Dawson because they were able to share parts of their lives right away with each other. On the part where she confronted him for making her wait, showing her his bruises, and getting to know each other in the water tank. As for love, as time goes by, the friendship grew into something more. When Dawson got shot, I was shocked, but what made me cry is when he fell, and the last thing he saw were the stars. It reminded me of their last goodbye ever since their reunion. “I’m gonna trust in the stars,” He said that because he considered their reunion as a second chance for them to fix the things they’ve left behind. It provided closure for both them and declaration of love after all these years. It’s my second favorite scene. In fact, he was hoping that the universe will realign the stars for them and things will fall into place for them. And when he closed his eyes, he saw Amanda in the garden in Tuck’s house. In the movie, I don’t remember where Dawson’s mom is, but that’s how lovemap came into play in his life. Somehow Amanda also took cared of him the way a mom should. As for Amanda, she has a privileged upbringing, but when Dawson came into her life, just by existing, he made the best version of herself. This is an incredible movie because at the same time, they also tried to establish how the characters Amanda and Dawson were fated to each other. First is when they were younger. Amanda asked Tuck if he believes in fate or destiny. Instead, he shared a part of his love story with his wife which says that he believed in coincidences and faith. At that time, Dawson refused to believe any of it. When Dawson had an accident where the explosion threw him in the water, he dreamed of Amanda then after waking up, he got a call about Tuck. That’s what made him believe that somehow it led him to find her again. Due to the hardships and loneliness, Amanda experienced, she became scared and believed that fate and destiny are not real. And when he died, yes, he saw the stars. He closed his eyes, and he saw his dream again in the hospital. And that scene where everything made sense. I truly believe that there’s an endless love, but unfortunately, it’s not just for the characters somehow. Even if Dawson died, a part of Dawson will somehow always be with Amanda. It’s still a great movie, with a very interesting twist and I still recommend it. *Thus marked words are defined on this LINK. 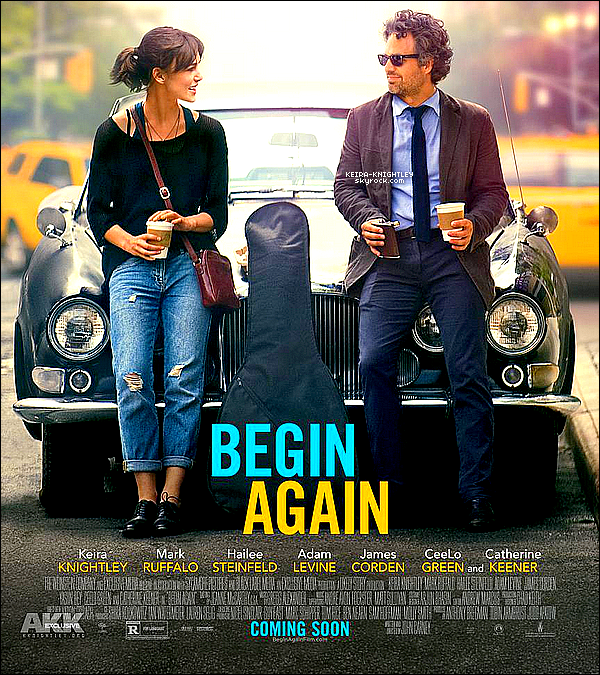 Begin Again is a 2013 American musical comedy-drama film written and directed by John Carney and starring Keira Knightley and Mark Ruffalo. Knightley plays a singer-songwriter who is discovered by a struggling record label executive (Ruffalo) and collaborates with him to produce an album recorded in public locations all over New York City. When I saw the movie, I was more focused on Dave and Greta. Not that I’d feel regretful over Dave, but when I was watching it, I was reacting over Dave’s betrayal and how their relationship ended for good. I remember the last scene of Greta riding the bike away from Dave and thought that moment was freeing for her. Dave became the kind of person who would compromise his work because his priority was to please the audience. He’s got an unhealthy *lovemap because of how he treated Greta as his girlfriend and what he did to her. His life was run by his fans and by the people he’s trying to please. His life is not his own anymore. Greta taught Dave to be yourself and to not become the kind of person who follows the trend all the time. She preserved the soul and the meaning of her songs, but he forgot about that. At least in the end, it’s good that he realized he messed up. So I’m relieved with that. Where lovemap is concerned, here’s my mapping on how the characters’ lovemap was improved in the movie. Greta was the catalyst in Dan’s life. He lost his job and Greta gave him a reason to go on. Hearing her song was a hope for him because he heard something magical that night. She also gave him the courage to fix his life, his relationship with his wife and his daughter. Greta set his *lovemap right. Eventually, we realized that since they were both lost and they are musically inclined, they connected. So this is where the *intellectual chemistry happened. At the same time, for Greta to moved on from her ex, Dan gave her hope and a reason to go on with her life by creating their album together. He supported her through and through in the process of her album and he never tried to change her or her songs. Dan set her *lovemap on the right path and she saw Dave for he is and it enabled her to moved on for good. In the span of the movie, they gave each other’s life a-180 degree turn that made them live with the best versions of themselves. Now that is where *empowerment chemistry happens. At the end of the movie, Dan set her wife’s *lovemap right by making her realize what she did and by seeing the guy she had an affair with for he is. So she got back with him. When it comes to cheating cases, I believe that everybody deserves forgiveness with or without apology from the other person. Because when you forgive someone, you’re not living your life with anger and grudges over that person. You’re doing it for yourself and not the cheater. I also do know that forgiveness takes time, it’s never forced. Second chances are only deserved by people who realized they were wrong and those who’ve worked hard to earn your trust again. I’ve seen rare cases of men and women who deserved taken back by the person they cheated on. I believe that not all cheating cases should end and there are those cases that are unforgivable. For example, if the man/ woman continued to cheat for a long time. Having a failed marriage and being cheated is not the end of the world unless you lived by revolving your world around him/ her. I don’t believe that once a cheater is always a cheater applies to everybody. I believe it applies to those who are mentally ill and very selfish people because they keep doing it and they don’t feel any shame in hurting other people. So I’m going return the movie’s question. Can a song save your life? In the movie, Dan probably saw and heard Greta’s song and thought it saved him, but not completely. Like I mentioned before, Greta’s song was the catalyst, but it was Greta who saved him at some point of the movie. She reminded him of how much he loves his wife and encouraged him to fix things. She even fixed his relationship with his daughter and thought her to act more like a respectable woman than those who’s showing so much skin. Like Greta said, it leaves nothing to the imagination. Did the song save Greta? I believe that she was only given an opportunity through her song because she lost something (someone). Despite her heartbreak, she’s not so messed up like Dan. She carried herself still properly in the movie. One of her best scenes for me is when she called Dave and sang him a song. Director John Carney was trying to achieve the same effect that the Once movie had. Begin Again was a successful and enjoyable movie, but it didn’t surpass Once’s unique charm and reputation. To be honest, at first I’m not sure how I’m going to analyze the relationship in the movie because so much was going on. The audience is divided into two or three groups. The first group is affected because of the failed relationship between Dave and Greta. The second group is affected because of the almost love affair that never happened between Dan and Greta. And the third group is debating with the second group that the ending is much better rather than having Greta involved with Dan. If you haven’t seen the movie yet, watch it now. DVD copies and soundtracks are available anywhere. The X-Files is an American science fiction horror drama television series created by Chris Carter. The program originally aired from September 10, 1993, to May 19, 2002, on Fox, spanning nine seasons and 202 episodes. 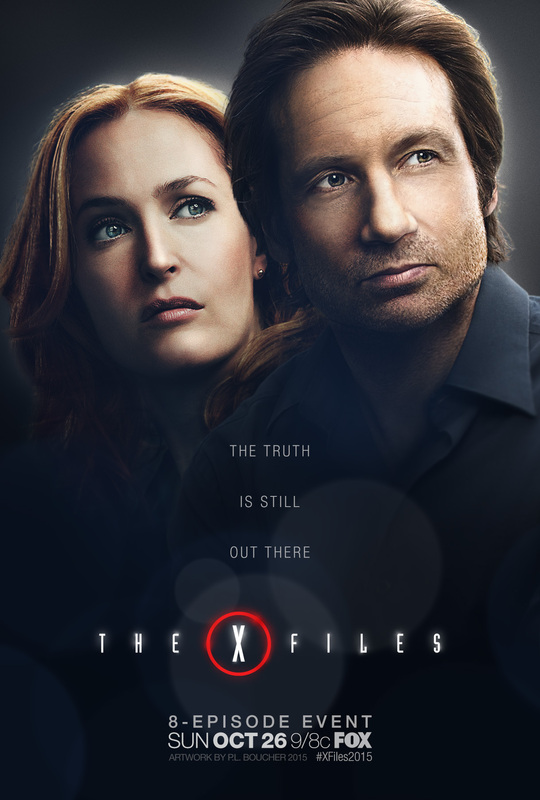 The series revolves around FBI special agents Fox Mulder (David Duchovny) andDana Scully (Gillian Anderson) investigating X-Files: marginalized, unsolved cases involving paranormal phenomena. Fox Mulder is an Oxford Psychologist holder and became famous at the FBI when the psychological profile he wrote broke the case of Monty Props. Until he came across the X-Files, FBI cases that were designated unsolved then Scully was assigned to him as his partner. Mulder also believes in the existence of Aliens because he witnessed her younger sister, Samantha, taken from their house. Dana Scully is an excellent Medical Pathologist and a skeptic who was recruited by the FBI. Despite her background in Science, she continues to be a Catholic. Scully was assigned to debunked Mulder’s work on the X-Files so he will return investigating normal cases again. In fact, the terms Shippers, Snoggers, Fanfiction, X-Philes, and MSR were created because of the show. Shippers are fans who wants characters from a book, movie, and TV series to end up together. Snoggers are X-Files fans who wants Gillian Anderson and David Duchovny to end up together. Fanfictions are fictions written by fans using characters from books, movies, and TV series. X-Philes is the name of the X-Files fans, which literally means lover of X. So what is MSR? MSR stands for Mulder Scully Romance. Below is a summary of their relationship. MSR Defined by Erockfurnia/ Erockxf. *Intellectual Chemistry was shown right away in the Pilot episode when Mulder told Scully that she read her thesis and he was impressed that she tried to make her own interpretation of Einstein’s Twin Paradox. *Sexual Chemistry. Well the show is full of sexual tension from the characters ever since Scully bared to her underwear in front of Mulder when she thought she had the same marks as their victims who died of exposure also in the Pilot episode. *Empowerment Chemistry. Well, I can’t really point out each episode of the show because it’s over 202 episodes. But in the span of nine years working together as partners at work and best friends, Mulder and Scully supported, listened, reprimanded and empowered each other to never give up. They drew strength from each other. The best part is they don’t back down from each other and they voice their opinions when one of them did something wrong and when they disagree with each other’s thoughts and beliefs. They were open to each other. They just don’t have chemistry, their personalities, upbringing and experiences as an individual are compatible because they could both learn from each other because of their different perspectives. It is a very good indication of a well-matched *lovemap. After all, lovemap is not just about having chemistry, and compatibility, it’s so much more. You see, Mulder is unconventional in investigating the cases and also the kind of person who is desperate to find out the truth. He will stop at nothing to get there and he will accept every breadcrumb of evidence to get there without analyzing the credibility of it. Scully taught him the importance of working hard for the evidence. As I’ve mentioned above, Scully’s background in Science made her a skeptic so it was hard for her to see and believe Mulder’s line of thinking and she follows the procedures accordingly. Eventually, Mulder opened up her mind to other things and according to her he taught her to be brave in believing other things that are beyond the realm of science. Despite their differences, they respected each other. Romantic Chemistry was palpable throughout the show and even the movies. The couple got together at all, but it already ended. In the first movie, The X-Files: Fight the Future, they had this moment outside Mulder’s apartment where they almost kissed but they didn’t because of that freaking stpid d*mn bee that stung Scully. But in the second movie, I Want To Believe, they were together, they hugged and kissed, but they broke up. Also, they’ve released the kissing scene version from the first movie, where the bee did not sting Scully. It was hot and it was the time, where we, the old X-Files fans came out of our caves and celebrated a big reunion online. The first thing I love about the show is because they were investigating weird, mysterious, and scary phenomena. The second thing is the main characters are intellectually stimulating, entertaining, even funny and very interesting. The third thing I love in the show is how the relationship between the main characters was never planned. They were only supposed to be a man and woman who are good friends. To be honest, the show was supposed to end in Season 5 with Millennium as the finale episode and it was also a crossover of the new series at that time, Millennium. It is in the episode where Mulder and Scully shared their first kiss, but it was originally their second kiss. Their first kiss happened in the hospital when Scully had cancer in the Season 3, Memento Mori, but it was never aired. So the writers at first did not write with the intention of putting the characters in the will they or won’t they situation. It was just something they discovered, and tried to go with it. They are not like the scriptwriters now who are trying hard to put couples in that situation who will toy with the audiences for a long time. I’m a big fan of NCIS but what happened to Ziva and Tony was just unacceptable. I don’t blame the fans for wanting Ziva to come back to the show, after all they invested so much of themselves in the show for seven years, so expect the fans to be bitter for maybe, another seven years before they move on. With that said, I guess the moonlighting curse is real. I am a devout Densi Shipper (Deeks & Kensi), but I stopped watching when the characters got together. I’ve wanted them to get together, but I felt that their relationships was too force and wasn’t handled the way I wanted it to happen. Also, the backstories of the characters were not good enough for me to explain the characters’ personalities and attitudes. Deep inside, I’ve thought the writers will answer my questions, but after six years, I still got nothing from them and I also felt that they should have handled the characters issues before they got together. The resolution with Kensi’s Jack wasn’t even good enough for me because there was so much build up and emotions invested in the character before. In six years, sure, there are changes in the characters when they met each other, but it wasn’t enough for me or maybe I just want adult characters, so maybe that’s my problem. At the same time, I’ve realized that Nallen (Nell & Callen) makes much more sense to me as a couple because of their upbringing, experiences, personality, and more. I have nothing against Densi and Neric, I still enjoy them when I’m not analyzing and when I miss the show. I’m way more satisfied with how the writers handled the relationships on Castle, Bones, Chuck, and Nikita. Wait, of course, NCIS, NCIS LA, and the others are all great shows and I will still encourage other people to watch it. All the writers are talented and worked hard to give fans something fresh and new all the time. After all, there are other reasons to watch the show, so tune in and watch. What I mentioned above, is just my opinion. Anyway, so sorry for this commercial, let’s go back to the X-Files. Fox Mulder has an unhealthy *lovemap. It was shown through his upbringing and also some of the women he dated in the show. For instance, Diana Fowley (Mimi Rodgers) is a smart woman, and who is also Mulder’s first partner, but when Fowley got recognition from the higher ups, she left Mulder right away. She was kind to him, but she always has a different agenda. In fact, I don’t even understand her intentions in the show, and I refused to remember anything about her anymore. Of course, who could resist the three piped problem, presented by Phoebe Green. Mulder dated her during his Oxford days. Phoebe thinks of Mulder as a game, she knows he’s afraid of fire, and what she did is brought a case to him about arson. On top of that, while she is seducing him, she is also busy working another man at the same time. It’s funny how Mulder refer to her as fire, considering that Mulder is an air sign, and naturally it is known to gravitate toward the fire signs all the time. At the same time, Mulder already has a fire inside him so he doesn’t need Phoebe in his life because he will get burn over and over again. Just some trivia there somewhere. Mulder has an unhealthy *lovemap. Thank God he met Scully because she set it right. She became his friend, his family and more. Scully also became the person who calmed down the fire in him, so Scully serves as one of the best things that happened to him. Dana Scully has a somewhat unhealthy *lovemap based from her upbringing and her relationships with her parents. While I don’t remember much Scully’s dating lists. Scully is an analytical, practical, rational and sensible person in the show. She is the voice of reason in Mulder’s head. So when she met Mulder, he somehow set her lovemap in the right direction. Scully was supposed to be dating someone in the Pilot episode, which was also never aired, but the guy is supposed to be working for the FBI as well. Jack Willis is Scully’s FBI instructor. She got involved with him, after dating for a year, but broke up eventually. Unfortunately, it does not say much about Jack’s character. So this does not really count as something healthy. Dr. Daniel Waterson is Scully’s former Professor. She had an affair with him and left him after she was recruited by the FBI. I guess I don’t have to explain more why it makes her *lovemap unhealthy at somepoint. One of the questions you’ll have in your mind, what’s a sensible woman doing in a forbidden love affair. There seems to be a pattern here, the fact that she got involved with older guys, but that does not make it unhealthy. Ed Jerse is a guy she met on the episode, Never Again. It is an episode where Gillian Anderson asked the writers to write a darker side of Scully. It is in the episode where she got her Ouroboros tattoo on the small of her back. Scully strike up a conversation at a tattoo parlor where he invited her to dinner which at first she declined, but after an irritating conversation with Mulder, she went out with Jerse and stayed at her apartment, where he kissed her. 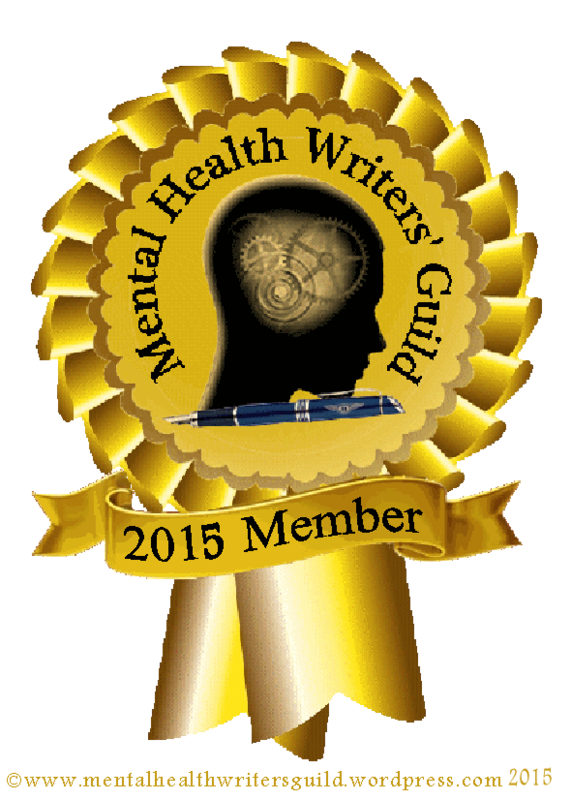 Phillip Padgett is an author experiencing some writer’s block. He is also Mulder’s neighbor. He is someone Scully did not really get involve with, but this case affected Scully in a weird, mysterious and scary way. Well, what can you expect it’s X-Files. He appeared to Scully as an admirer, he watched her from afar, and he even sent her a Milagro pendant. Padgett lured Scully to his apartment. I can’t forget the time where Phillip told her that she came to his apartment because she was curious about him so he invited her to come in and she did. Scully was somehow in a trance while she was with him and she almost slept with him until Mulder saved Scully from him. It is somehow hard to write about lovemap considering the mysterious factors added to the show, but you will know what I’m talking about Mulder and Scully’s relationship, once you watch a couple of episodes or so. They are not like those couples who are targetting each other as lovers because they are best friends. I have nothing against those couples ending up together because they are best friends. I’m against those who are forcing themselves on their best friends, just so they could have the happy ending they’ve seen in those copped out movies. It’s like scriptwriters are thinking let’s make the characters best friends, so that audiences will root for them to end up together. It’s bad enough when you notice how forced it is when the characters are pretending to have chemistry or to be in love with each other, it’s such a turn-off. Anyway, on top of having the characters great chemistry, it doesn’t hurt that the actors who played also have a great friendship that as fans we can’t stop watching. Before, I actually told myself that I’m going to write this analysis maybe next year or so and I only plan to write this analysis of relationships when series are complete. But since X-Files is going to have a new installment on January 2016 (Yey! ), I have to write this now. To be honest, I don’t know what I’m going to see on the episodes and I’m afraid that the show will because it’s too old, it may be irrelevant to other audiences, and last but not the least it may air episodes similarly written with shows airing these days. I also think that maybe Fox is using the show the show to gain something I’ll ignore it. And besides, I have faith on the actors, Chris Carter and the other staff who will work on X-Files again. *Thusly marked words are defined on this LINK. For those of you who’ve never seen the show, but you’re interested in finding out the love story, click here and scroll down to Route 3: The Shipping News. – S P O I L E R A L E R T – “Once” is a modern-day musical set on the streets of Dublin. Featuring Glen Hansard and his Irish band The Frames, “Once” tells the story of a street musician and a Czech immigrant during an eventful week as they write, rehearse and record songs that reveal their unique love story. 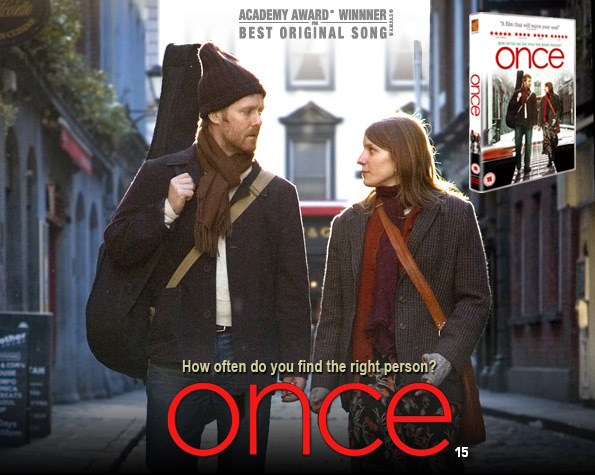 Once is a low-budget musical movie in 2007 where the song “Falling Slowly” became popular. It was composed and sung by also the instrumentalist and actors who played the characters in the movie, Glen Hansard, and Marketa Irglova. Before I start my analysis on the story, the movie had numerous bad reviews, and it also has good reviews due to it’s subtle message and songs you might/ might not enjoy. I enjoyed the movie because I’m also an instrumentalist, an aspiring broadway actress, and most important of all I can somehow relate to the story. The characters were never given a name, Glen played the guy, and Marketa played the girl. It is a story about the girl and the guy who met and bonded over music, but they were not meant to stay in each other’s life, they only meant to teach and help each other just for a moment. That is why, I believe that the sayings about a couple it’s true. Some couples are meant to be together just for a moment, at a specific time. There will come a time, that some of them will split up, and be with someone else. Also, I love that they showed the message of the movie in a subtle way and the emotions through the song. The couple met Once. And in those brief encounters, there was resonance and transformation. It was short, but it left the couple the longest and strongest expression that will last them a lifetime. Marketa playing “The Hill” from the movie. The girl’s *lovemap is healthy for me maybe it’s because for being a mom at an early age. She is separated with her husband at that time, and she is the breadwinner of her family. She is sensible, responsible, practical, industrious, innovative especially when the girl got the guy a recording opportunity, and talented of course. She is also broken hearted because she and her husband were experiencing some problems. I based that on the song she played, The Hill. How she’s still learning and trying since her husband is much older than her. The girl inspired and motivated the guy in the movie to work on his songs, and to work on their own record album. She moved him to move forward and do something about his situation. The *guy’s lovemap is somehow unhealthy because he suffered a heartbreak too. He’s got full of ideas, he’s got a good voice and plays guitar too. He works hard as a busking Dubliner and he fixes vacuums. He’s older than the girl but at one point of the movie, acts like a teenager when he invited the girl to bed, but she refused up until the end when he invited her again to stay the night on his last day at the city. She said she’ll visit him, but she never came. The guy inspired her to play the piano again and also to sing. He just seemed like a lost man to me. As if he hasn’t got things under control or figure out in his life. Playing “Falling Slowly” from the movie. Falling Slowly from the broadway musical. Guy and the girl had chemistry when they first met. She was in awe of him when he was playing his guitar and singing on the street. They were lonely kindred souls who found each other, as they were still holding a torch for a previous lover. The scene where they played “Falling Slowly” was a very precious scene. This is where the guy found out that the girl is a very good pianist, and she was able to pick the song easily. This was a story about a couple who met once and fell in love with each other, sending each other smiles, and stares of deep longing, who were supposed to be together, but it doesn’t mean they’ll stick together for the rest of their lives. In the end, the guy got back with his ex-girlfriend, and the girl got back with her husband. The last scene was bittersweet, it never left me, and it always makes me sad every time I watch it. Another thing I love about the movie is because of the realistic situation and the setting. It’s not like the cop out situations given in series and the movies to make the audience believe that the couples should end up together or that they deserve to be together. Watching them for a short time made us want them to be together. 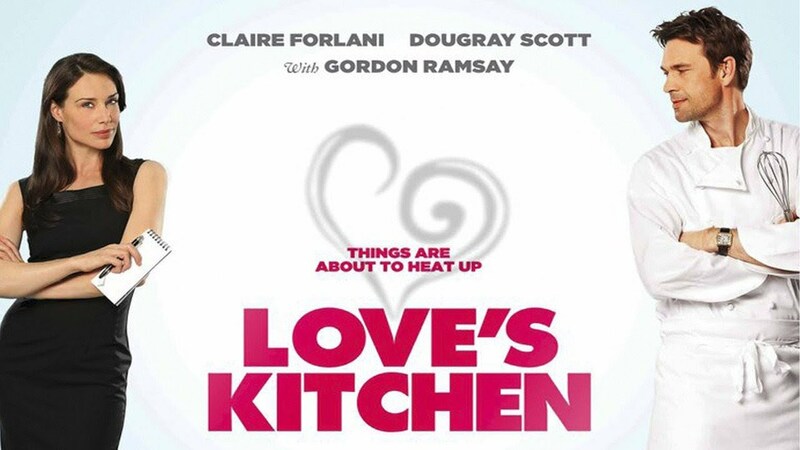 Aside from the movie’s unique charm, the actors who played the characters also helped the connection and the chemistry of the couple in the movie, and for it to gain popularity because Glen Hansard and Marketa Irglova fell in love during the shoot of the musical and started dating while promoting the movie. Apparently, Glen and Marketa had known each other years before, despite their eighteen years age gap, they were also drawn to each other ever since they met and they’ve also bonded together through their music. So the *chemistry on screen is not just pretending, it was intact before they even started playing the characters. It was a mixture of real *intellectual chemistry between them which was shown through their music, *empowerment chemistry from the way they inspired, and helped each other and *sexual chemistry shown by the smiles, stares and deep longing they shared. I can’t speak for the couple’s relationship, but the couple made a sort of sequel for the Once movie, called the Swell season, it is a documentary film of Glen and his band, The Frames, with Marketa. Unfortunately, in the film, the couple eventually break up. They didn’t handle the sudden rise to fame and the relationship well to work. That’s in the past, because just like the movie, the couple is now happy with someone else and are somehow still friends. So everything is fine. Due to the movie’s success, the Once musical movie, is even now on broadway. Once is a charming and unique movie, with a big message delivered subtlely. So, guys, I recommend you to watch it. I hope you enjoy it, the way I did.